Goodyear Eagle F1 Asymmetric 3 is a performance tyre that delivers you shorter braking distances on wet and dry roads so that you are in control and ready to enjoy the journey. Goodyear Eagle F1 Asymmetric 3 is a performance tyre that delivers you shorter braking distances on wet and dry roads so that you are in control and ready to enjoy the journey. The Eagle F1 Asymmetric 3 has a new grip-booster compound, with adhesive resin for stickiness, delivers maximum grip for performance handling on wet/dry roads and shorter braking distances. With Active Braking Technology there is an increased contact surface and grip when braking. This increased contact surface with the road means a shorter braking distance. 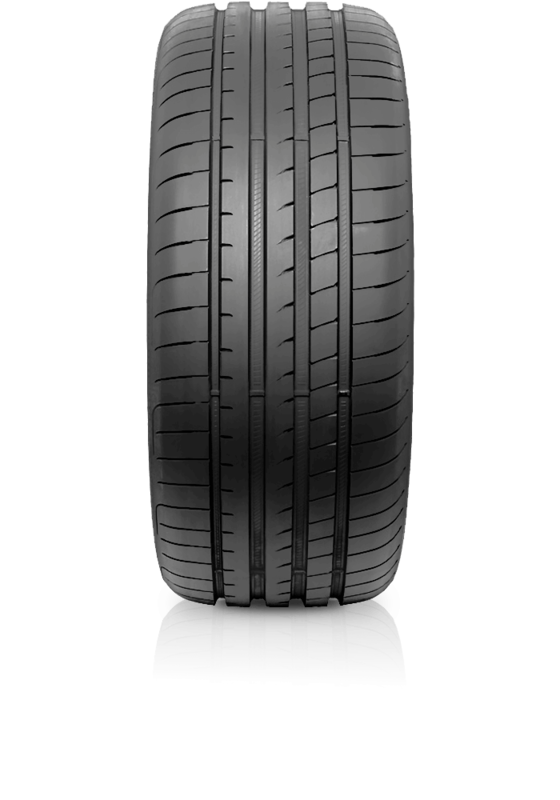 The F1 Asymmetric 3 has a new reinforced construction technology that delivers a stronger lightweight construction improving handling, cornering performance, tread wear and fuel efficiency.